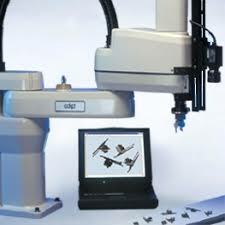 There is a vast field of application of machine vision, and especially for inspection tasks. In this area, the crucial section is the processing stage. In this stage, an image processing software will compare the acquired data with a pattern (e.g. length and width, colour, surface roughness), and the system will take decision based on the result of this comparison. Mateo A. et al (2007) propose an interesting quality control based in a vision system to asses quality levels for tuna fish, where the colour of the flesh is compared with standards. As an advantage of this type of inspection we can remark that this doesn’t relies in the subjectivity of the operator, and is insensitive to tiredness. Vision systems can perform inspections at a high speed, and even on-line, without the necessity of stopping the process. The flexibility of vision systems can provide control over different features with the same device, for example, size and colour. The main disadvantages com from the lighting technique used. For different process, different lighting studies have to be done (back lighting, polarized lighting), being susceptible to errors coming from surface reflection or ambient lighting. When it comes to quality control of 3D objects, with curvy profiles, and complex topology and geometry, could be tedious and difficult to face inspection with traditional contact tools as micrometers, Vernier scales and others. Complex procedures (measuring routines/paths) have to be followed to achieve consistency in the measurements, and it is always present the chance of human error when gathering the data or when going through the different steps. In any case, this was becoming a time consuming stage, and a bottle neck in the manufacturing process. To make this inspection process more reliable, CNC-CMM machines were introduced, aiming to automate the measurements and the procedure through a Cartesian coordinate system and displacement transducers. One of the main concerns of applying CMM to the inspection process has been to include this stage into a CAD/CAM environment. As Jishun, L. et al (2006) mention in their paper, an integrated CMM should be able to read CAD data files to gather measurement data, and provide coordinates and the inspection path. The comparison an analysis against the specifications should be done over the CAD files, therefore, the CMM must provide data of the measurements in an adequate manner to be reconstructed and compared in a CAD format. At the same time, the CMM must provide adjustment parameters to the manufacturing machinery, based on the statistical results of the measurements. This configuration provides not only a quality control over the output of the manufacturing process, but also permits the modification of the manufacturing parameters, tolerances and tool utilization for instance based on the inspection of the products. An example of this application is the manufacturing of sculptured objects, which are usually manufactured in CAD/CAM environments with the use of CNC machines. Between their characteristics there are trimmed and stitched surfaces and joints. By just taking measurements of certain points, the continuity of the surface can not be assured, like it can not be assured the position of the points between two sampled points. Therefore, the surface is reconstructed into a CAD model from the gathered points, and this substitute model compared with the specifications. Products with less assembly sections and complex fastening systems guarantee difficult profiles to measure. One example of this request are spiral bevel gears, needed for effective power transmissions used in precision machinery. See the work done by Jishun, L. et al (2006). This kind of product leads to a complex integration of the measuring probe, analogue in this case, a motorized probe head for orientating the probe in different approaching angles, and a control system developed over CAD files. This control system provides, apart from the inspection path, coordinates, orientation angles, and pressure expected in the probe. Looking at the manufacturing environment of nowadays, a quick market response is vital for any company. It has been studied before the need to reduce the time spent in the design process, where rapid prototyping is a fundamental part. When preparing a mould, accurate measurements are vital before the model goes to an expensive manufacturing of one-of-a-kind. These models can be done with techniques like stereo lithography and 3D printing among others. But when it comes to measure the mould, or the prototype, theses are usually of materials (wax) not suitable for contact measurement as Shiou, F.J. (2003) indicates because of the residual contact force or the probe radius error. Therefore, the development of non-contact probes for using in CMM systems was necessary. The answer has come in the form of video probes and laser probes. These probes don’t contact the surface, and provide accurate measurements without the offset of the probe radius, and are less sensible to temperature or humidity changes. Independently of these advantages, inspecting a product by CMM means quite a long time involved. Agile manufacturing and on-line testing can not permit such a bottle neck in the process, or just the acceptance of testing some samples when precision of measurements is requested. Diverse are the fields that intend to do the inspection process by CMM applications faster without compromising accuracy. The first one is the faster motion of the arms, by tracking the position of the whole arm, and the sub-position of the probe, as it is explained by Özel, T (2003). With the adequate control system, and appropriate feedback loops and PID controllers, the drive flexibility at the joints can be fully utilized, and the vibrations inherited in the arm due to the motion of certain parts can be minimized. In his experiments, he achieved double speeds with the same precision in the measurements. What means halving the operation time. The other battle front is the design of the probes. As it has been discussed before, a non-contact probe has proved advantages, but not in speed. New probes can “locate sequences of measured points without being moved away from the tested surface. 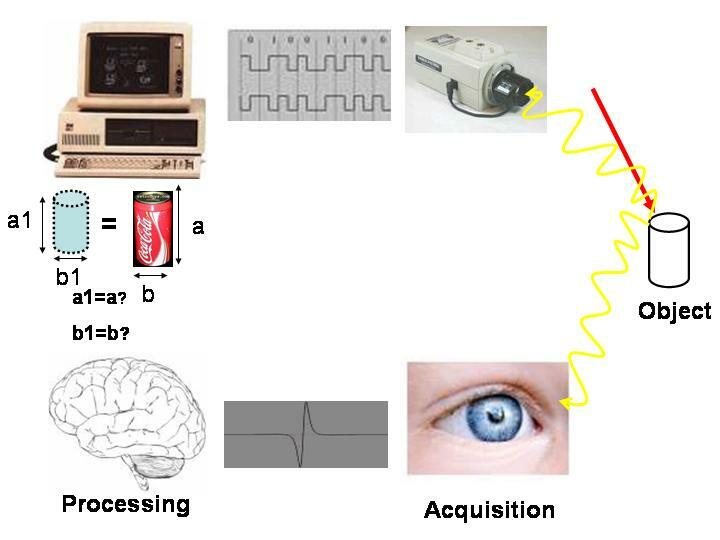 This scanning approach now offers new and effective possibilities for taking measurements” Wozniak, A. (2007).